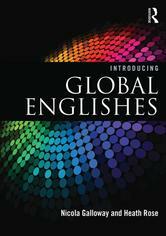 The "Classroom Resources" tab has materials and activities organised by various themes on the topic of Global Englishes. Galloway, N. & Rose , H. (2015). Introducing Global Englishes. Routledge.